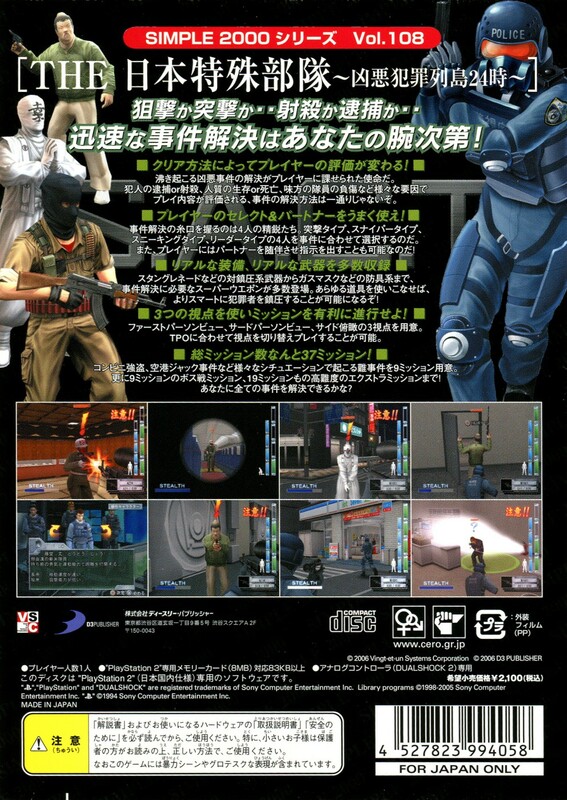 Among those rare Japanese-made first-person shooters, it seems like almost a requirement that the player controls a police officer, stand-up military man, antiterrorist operative, or some other kind of clean-cut and honest law enforcement professional. They're also universally very slow and methodical compared to the run-and-gun freneticism of something like Doom or Quake. 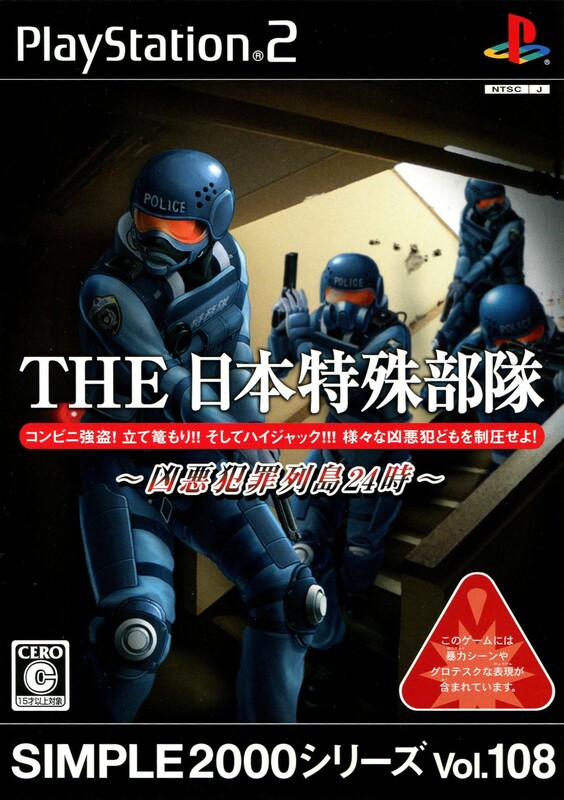 This budget title -- directly translated, "The Japan Special Forces: Villanous Crime Archipelago 24 Hours" -- could almost be considered a first-person stealth game as much as it is a shooter. You're a SWAT team member who needs to take down terrorists and other criminals without harming any hostages. 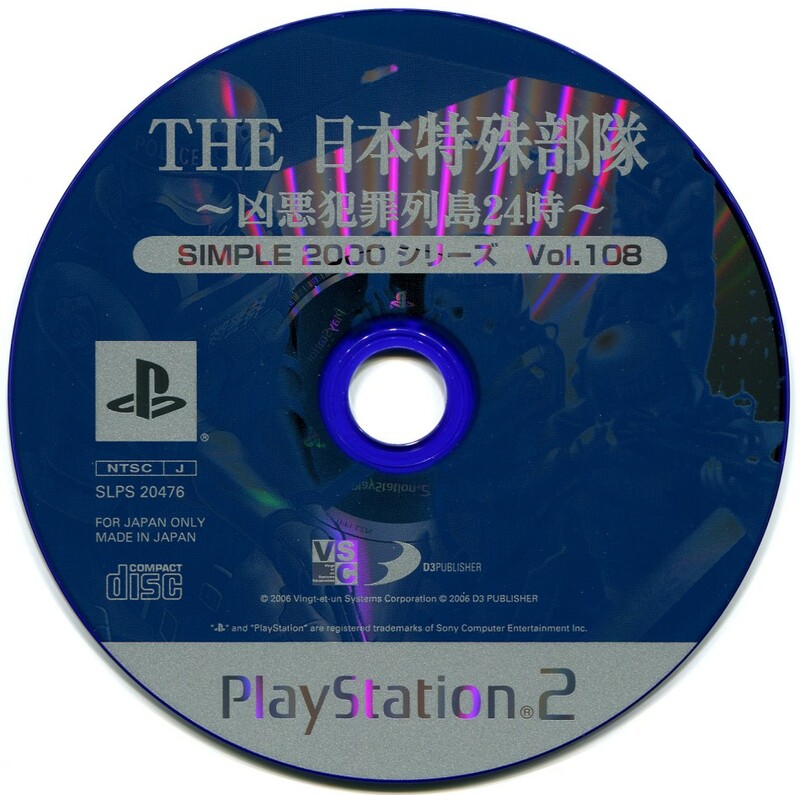 It doesn't really work very well in practice though, as it's way to easy to get spotted and the only way to actually take out enemies is to pin them down and handcuff them -- which isn't so easy when there's three other robbers all gunning you down at the same time.